1 x Rules Manual (50-60 pp), 12 x Color Cardstock Reference Sheets, 8-12 x full-color Map Sheets (each 11" x 17") (some maps are geomorphic, some are stand-alone), 2 x Ten-Sided Die, 1 x CD-ROM with > 200 user-printable Unit Data-Record Sheets/off-board Artillery Record Sheets/and Bonus Materials, 2 x 1/2" Counter Sheets (560 counters total), 12 Scenarios included with notes on how to make your own, and possibly other un-announced bonus materials. M.A.C. 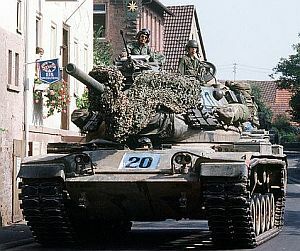 (Modern Armored Conflicts) is a tactical land-combat simulation that covers (at least initially) the 1970s Central Front with the US, USSR, UK, and FRG forces well represented. The game scale is 3 minutes/turn, 250m per hex. The 'standard' unit is the Platoon, but individual squads, sections, or vehicles may be used as well (these are called 'Elements' in the game). 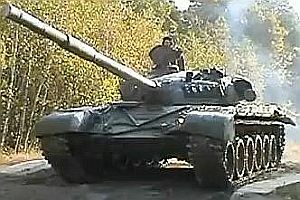 The goal of the game design is to allow a game with up to 1 (or 2) Battalions on each side but keep a sufficient level of detail that each major-caliber round fired is accounted for. The maps provided are based upon real locations in the Northern / Central German theatre covered by the game. The basic counter represents a Platoon; each platoon has a number of Strength Points equal to the number of squads or vehicles in that platoon. The game system allows one to account for each major-caliber round fired without requiring the tedious book-keeping that often occurs in such detailed-level games. The game system includes rules for the following: direct fire combat rules, close-combat and overrun rules, smoke, darkness levels, illumination, realistic spotting and target identification (including the very real possibility of fratricide), engineering tasks such as minefield breaching/bridge-laying/digging entrenchments, bunkers and fortifications, quick but realistic armor penetration/damage mechanisms, over 200 data sheets for armor/APC/truck/ATGM/infantry/helicopters /aircraft/recon/scout/fire-support/artillery/command/engineering/and more, maneuver & formation/terrain/skill effects upon maneuver, 'military' versus actual terrain crest rules, fog of war, morale (a unit is always in one of 6 different 'morale states'), detailed NATO-US-SOVIET doctrine implementation & enforcement, command and control effects, intelligence/readiness levels in scenarios, over-watch (multiple types), tactical helicopter and air operations (including the employment of guns/bombs/rockets and PGMs), detailed artillery rules accounting for the differences in ammo types/SP or towed/plotting systems/doctrine, off-board artillery rules, scatter-able mines, stacking limits/effects, detailed terrain and environmental effects, etc...and lastly the human element, which is the single most important influencing factor in the entire game system. The game system is designed to generate realistic combat results with a modicum of effort, and is based on extensive scientific research into & analysis of the mechanics and history of combat, including the weapon systems / combatants / doctrine / and organizations of the period covered by the simulation. 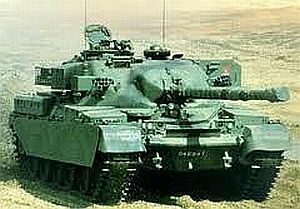 Copyright and Trademark Notice: Modern Armored Conflicts 1970s is Copyrighted © 2013 by Tactical Warfare Simulations. All rights to publish, copy, sell, trademark, or otherwise disseminate all versions of by either electronic or physical means are owned in it's entirety by Tactical Warfare Simulations. 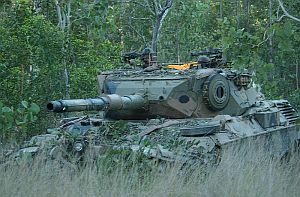 No publishing, copying, selling, trade marking, or otherwise disseminating Modern Armored Conflicts is permitted without express written permission from TWS. 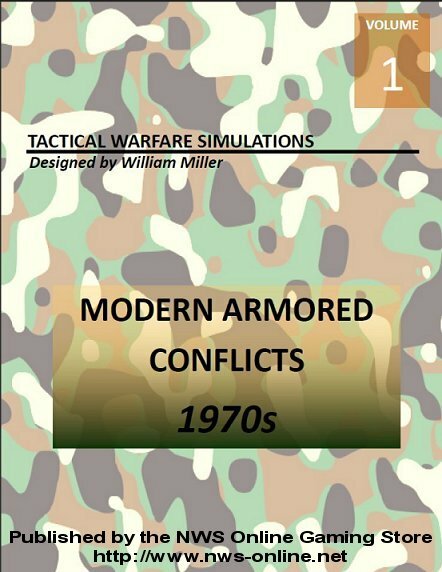 "Modern Armored Conflicts 1970s" is a trademark for Tactical Warfare Simulations land combat wargame.